OPAP, the firm that run most of Greece’s lottery games launched this particular draw in 1990 and it has become one of, if not the most popular draw with the Greek lottery playing population. If you opt to play Greece Lotto your only task is a very simple one, pick 6 numbers! The only question is how many numbers are available for selection? The answer, as so often is the case is 49. 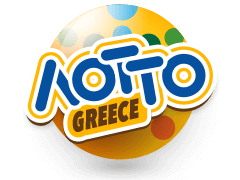 Greece Lotto being yet another lottery that follows the tried and tested format. Those who do play Greece Lotto will be aiming to land the huge jackpots that can occur in this game. The reason the jackpots can get so big is because rollovers are unlimited! Many lottery games have a ‘’must win week’’ or cap on the jackpot, that’s not the case in the ever popular Greece Lotto. To land the jackpot players will of course have to match the 6 numbers drawn with the 6 numbers they picked. A 7th ball, known as the bonus ball is drawn to assist with secondary prizes. Should you elect to play Greece Lotto then you should be aware this is a bi-weekly draw with Wednesday and Saturday the days the Greek drum spins. The latest results will always be available on our website shortly after each draw, so cross your fingers and hope they match your picks. If they do then millions of Euros could be yours!